Today we braved the cold and made our way toward Liberty and Ellis Island. When we got off the subway we were bombarded by sales people trying to convince us and every other tourists that you should utilize the water taxi tour services because – insert any reason you can think of – why using the National Park Service services won’t work. After ten minutes of listening to two different people try to convince us to not walk the 200 ft to the National Park Service ticket counter, we finally got away and got on the ferry. (which is way cheaper then the Water Taxi services). Our first stop was Liberty Park, which is the home of The Statue of Liberty. She sure was a beauty. I don’t know what was more enjoyable the views of the Manhattan or all the tourists taking selfies. Some people had some killer poses, and went all out. 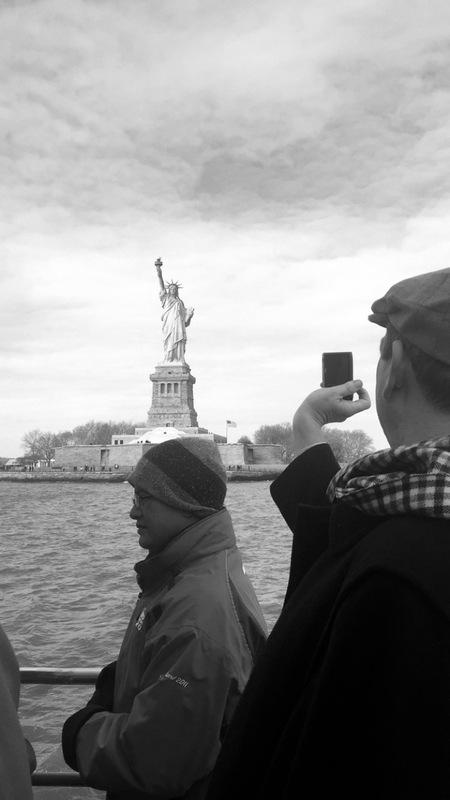 We didn’t stay long on that island because it was freezing cold, so we caught the next ferry to Ellis Island. Standing out on the deck of the boat coming into Ellis Island, was stunning. The National Parks Service transformed the building into a museum describing the various people that immigrated during that time, taking you through all the steps that an immigrant would have had complete at the island, to describing the process of immigration today. It was a great museum that helped you learn a lot about the people and the process, not just through artifacts and some signage, but through sounds, letters, and stories from immigrants who actually went through the island. The only downfall of the museum was there was so much information in every room that it took away from the space itself. 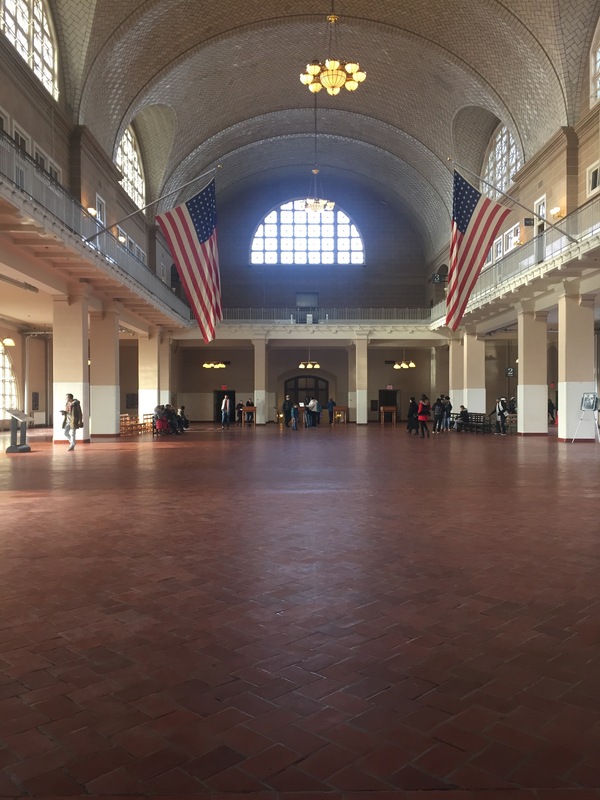 That after you read and look at ten different stations you forget where you are and that millions of immigrants made their way through these exact same halls. Overall it was a lot to take in, in such a short amount of time. One of the coolest parts was to see families in the search center looking up relatives on the manifest documents. It was just another reminder at how young our country truly is, and how much has and hasn’t changed. Going through this museum I didn’t only feel a connection with immigrants of the past but with the immigrants of today. How the process may has changed but the fear and struggle they face are still the same. 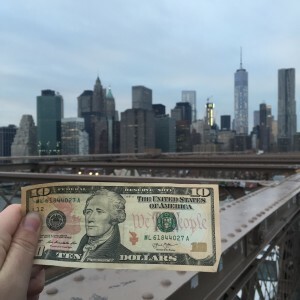 After that we headed to the Brooklyn Bridge. It was perfect timing because as we walked over the sun was going down painting the sky red as the lights from the skyscrapers started to illuminate the sky. It was a beautiful way to end our day, and our adventures in New York. How has it been five days?